Today we are looking back at history of prefabrication. Let us discuss George Nelson who was an American architect, writer and designer. George Nelson was also a teacher, a curator and a photographer. Nelson travelled to Europe where, during his travels, he met and interviewed influential people connected to Modernist movement. George Nelson was a design director of Herman Miller furniture company and he was widely recognized for his furniture designs. Furnishing designed by Nelson varied in use. This includes office furniture which could be seen as a good example of early prefabrication. His office furniture series idea, Nelson Workspaces, was based on pre-made furniture modules which could be customized and rearranged depending on customer’s needs. This was one of the first furnishing prefabrication ideas which gave so much freedom of customization to a potential client. As a writer Nelson published articles and books on the topic of design. His books titled Problems of Design (1974), How to See (1977) as well as George Nelson on Design (1979) could all be seen as influential. How to See can be seen as a particularly relevant book to contemporary designers today. In this book Nelson discusses the subject of looking and seeing in greater detail. George Nelson believed seeing images to be a separate to learn discipline and he attempted to reveal the knowledge on how to read images though this book. Coming back to the idea of prefabrication, George Nelsons liked the idea of industrial, prefabricated designs which can be customized by mixing and matching different modules together. That included his furniture designs as well as buildings. Discussing Nelson as an innovative forward-thinking designer and architect who inspires, as well as discussing him as part of prefabs/modular building history, we need to talk about one particular design Nelson produced, named Experimental House. George Nelson worked on his Experimental House design project through 1950’s and even though it was never built, it was an innovative and influential project of the time. The fact that Nelson put his attention into prefab houses is an important aspect of modular building history because it shows that architects of early 20th Century has already seen potential in modular building designs. Experimental House designed by Nelson has been aimed to be produced quickly and built with a minimum assemble time. It was to be made with two types of units and various wall panels. Overall look of the house was geometrical but could vary depending on personal needs. Cube shaped units joined together with a great number of arrangements options gave a variety of different possible layout solutions. This giving the house spacious, modern area with flexibility of fulfilling client’s personal needs for the space. The idea of transporting ready to assemble units and partition walls was providing potential client with an incredibly quick resolution in a modern design. 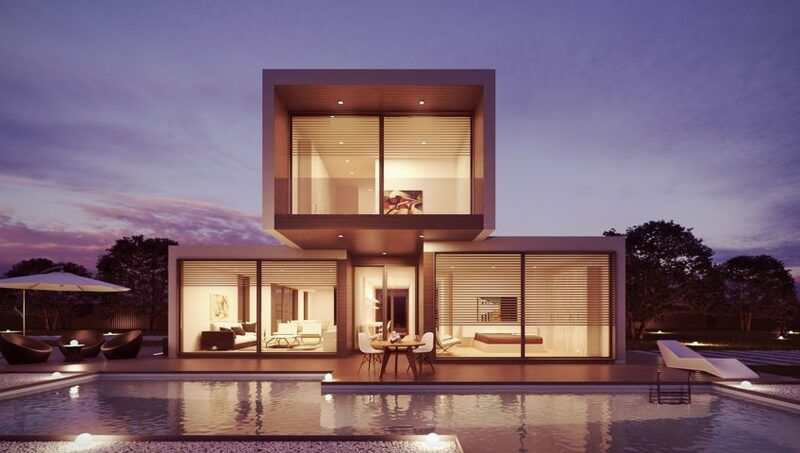 This house could be standardized and mass produced. This way client could buy the house almost off the shelf by deciding how many units and walls he or she needs. Nelson’s prefab house could also be moved to another location if required. Together with his furniture and architecture pursuits, additionally, George Nelson was aware of human impact on the environment and he wanted to design better, greener as well as he wanted people to be aware of the impact in order to lessen it. That could include reduction of cars from the streets of city centers and more. George Nelson was an inspiring architect and designer whose work is admired till today. One of grand precursors of prefabrication and part of history, he is someone to live up to in design and innovation. Featured image is not of one of George Nelson designs.